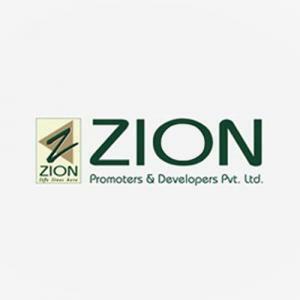 Zion Stone Crop II in Sector 89, Faridabad by Zion Promoters & Developers Pvt. 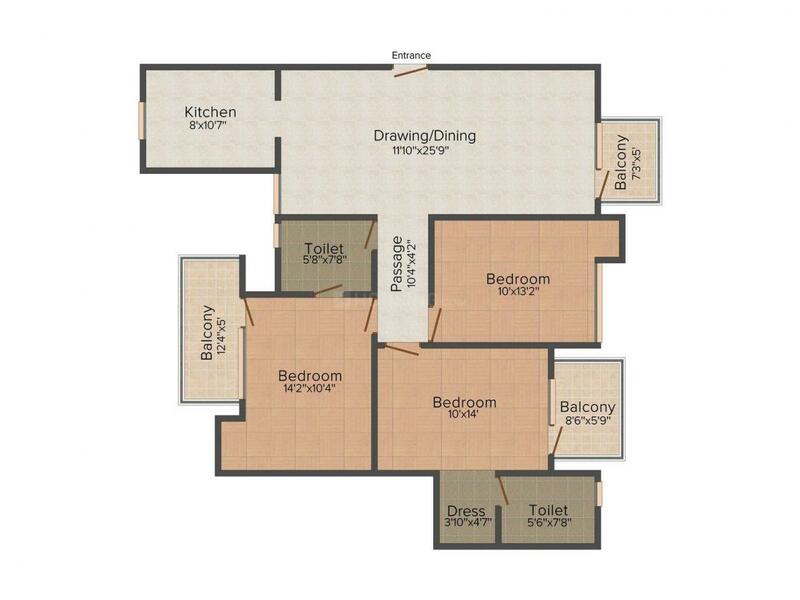 Ltd.
1620.00 sqft. 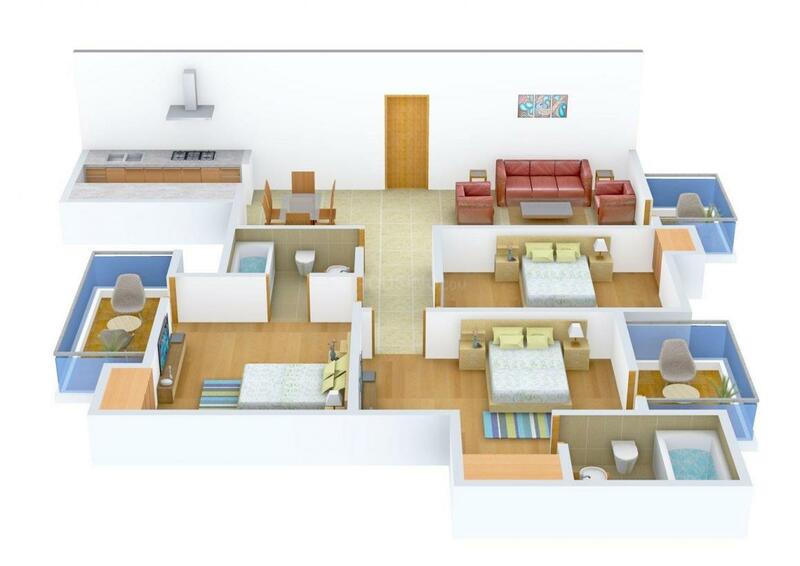 - 1945.00 sqft. Stone Crop - II is a sophisticated and luxurious apartment complex constructed with care to offer spacious apartments. Enriched with world class amenities, the project gives you a peek into lavish lifestyle. The overall effect of this project is spectacular and apt. Whether it is the quality or the facilities and amenities, they are certainly best in class. Smartly designed living spaces are enveloped in greenery with crisp, pollution-free and ample sunlight to give you relaxed feeling and a peace of mind. Serene surroundings with fresh air along with homes so luxuriant, Stone Crop - II is the perfect place to reside. 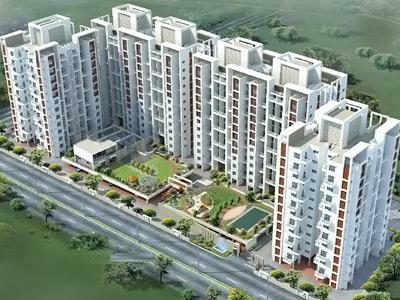 Sector 89 is a rapidly emerging locality in Faridabad. This area shares its boundaries with Delhi to its North, Gurgaon to its West, and Uttar Pradesh to its East. New Delhi and Hazrat Nizammudin Railway Station are in close proximity to this area. Trains for major cities of Mumbai, Chennai and Hyderabad are easily accessible from here. Besides this, local trains run between New Delhi and Faridabad from the three railway stations located within the city viz. Faridabad (FDB), New Town Faridabad (FDN) and Ballabgarh (BVH) which enable thousands of people to travel daily to and from Delhi for education and work. The National Highway 2 (Delhi- Mathura Road) passes through Faridabad, thus connecting it to the nearby states. Excellent road services provide easy access to South Delhi, Noida, Greater Noida through proposed express highways. Good educational institutions for medical, engineering and premium schools like Apeejay, DPS, DAV & Vidya Sanskar International in and around Sector 89 of Faridabad make this locality a popular residential destination. Zion Promoters & Developers Pvt. Ltd. is a leading real estate company incorporated with the sole aim of offering world class living spaces at affordable prices. Class, comfort and convenience are the prime objectives of this group and they ensure to include these in all their endeavors for creating marvelous structures that provide their clients with a wonderful experience of living. Zion Promoters & Developers Pvt. Ltd. is adept at providing fine quality infrastructure and has established itself as an esteemed organization with maximum focus on innovation and quality while creating a memorable legacy that is cherished for several generations. After making humble beginnings, the company is well on its path of becoming an industry leader. The company is skillfully leveraging its core strengths to redefine luxury living and modern style of architectural development that results into great masterpieces.